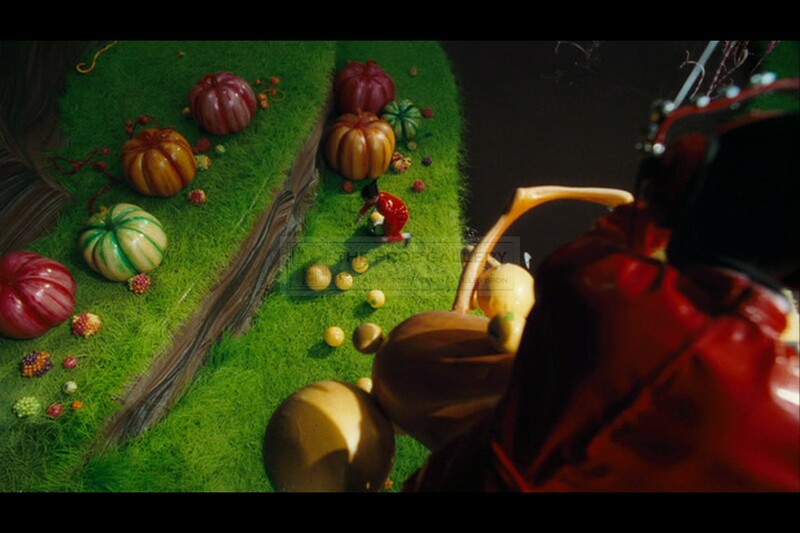 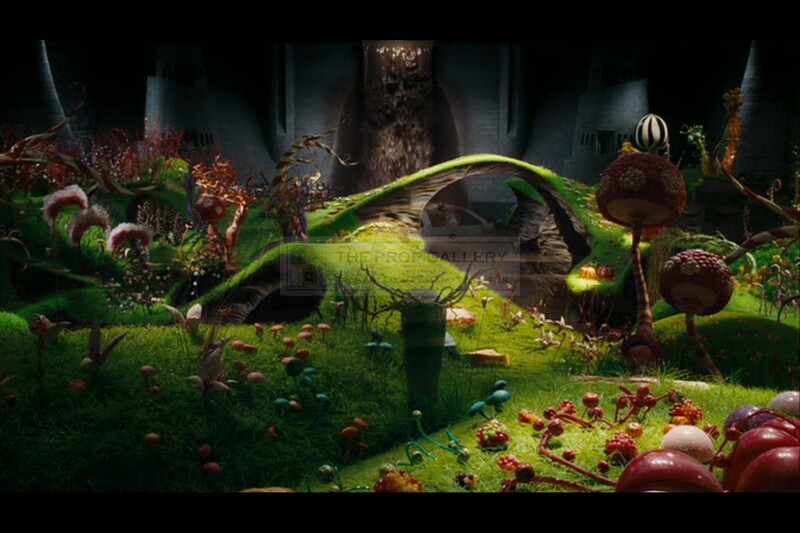 Pumpkin candy fruits such as this were used to dress the set of The Chocolate Room in Wonka's (Johnny Depp) factory. 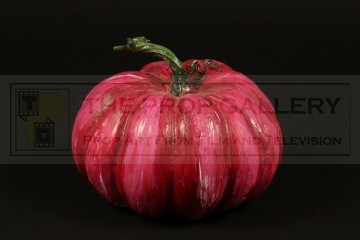 Constructed from coated polystyrene the fruit features a stalk of wire and rubber to the top and a hand painted finish in differing shades of purple, the hole to the bottom was likely used to secure the prop on set. 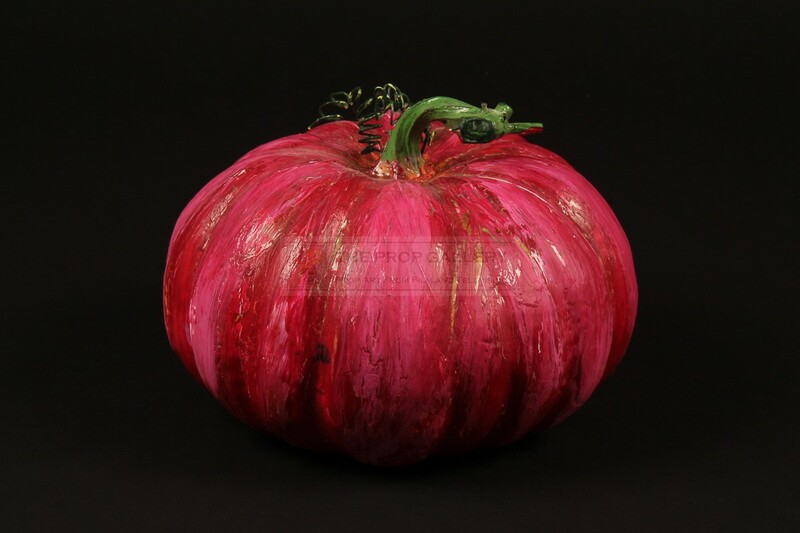 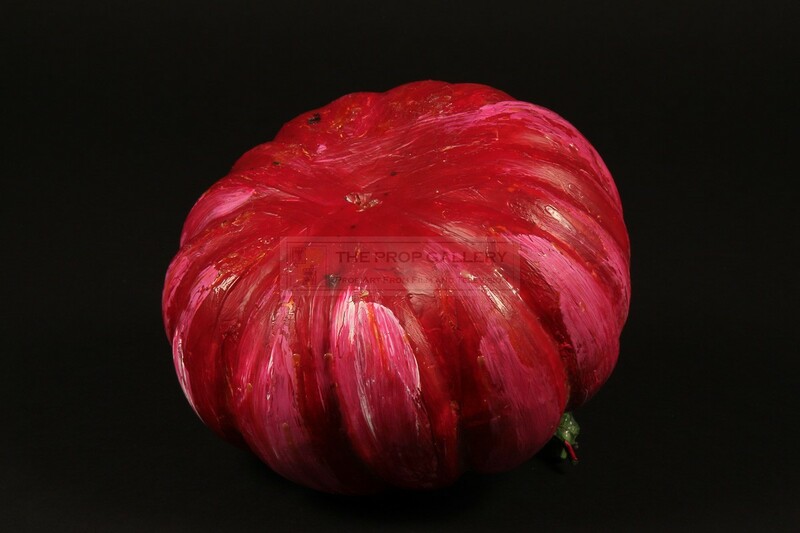 The candy fruit measures approximately 8.8" in diameter and stands 6.5" high, it remains in excellent production used condition with some minor surface wear, overall very fine.